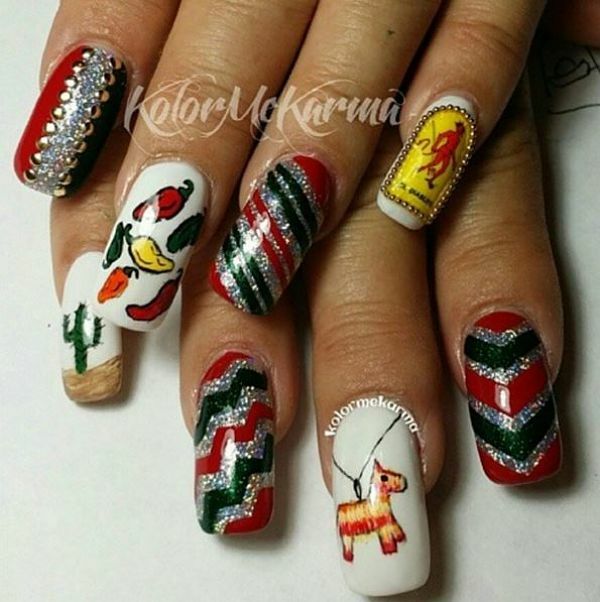 Since Cinco de Mayo is one of the biggest fiestas of the year, it's the perfect time to get your nails on point to party the night away in style. What better way to spice up your look so you can prepare to party like there's no tomorrow? 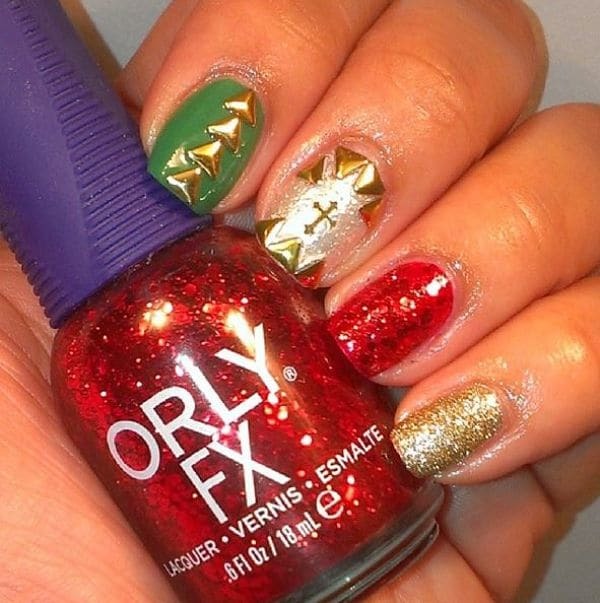 This holiday has a signature color scheme that's essential to the festivities, so get ready to set the night on fire with nails that will leave everyone speechless. Prepare to walk on the wild side with some unforgettable flavor this year when it comes to celebrating Cinco de Mayo! This design highlights the fact that there's nothing wrong with putting your own spin on a traditional design with these amazing dancers! Let this polka dot design make you the senorita no one will forget as you dance your night away! This glowing design will definitely make your night shine with the spirit of the season! The golden design on the accent nail in this super cute pattern will let everyone know where your heart is on this holiday. 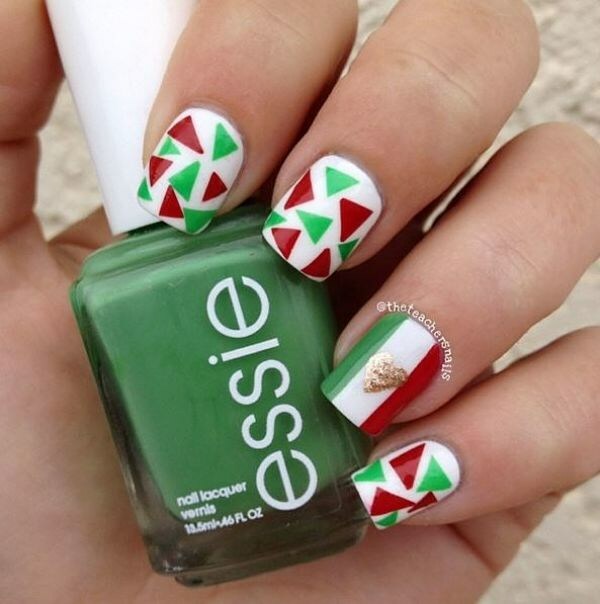 The next page contains some seriously exotic designs that incorporate the Mexican flag into their design. 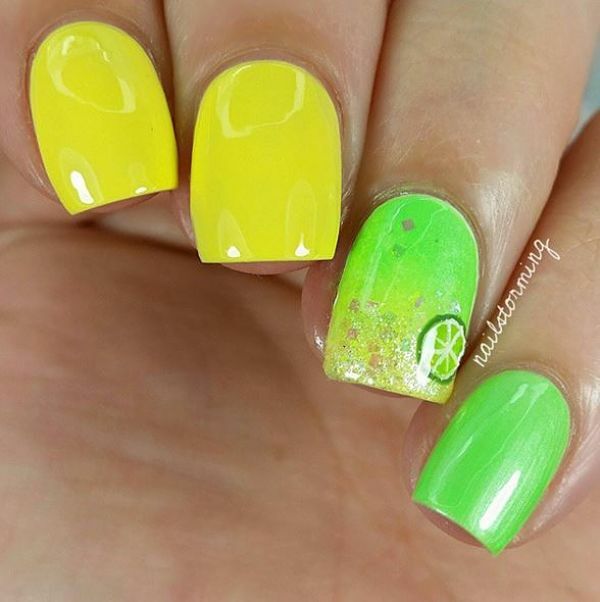 There's even a pattern for margarita nails! What better way to kick off the festivities than to fly the flag of the country this holiday comes from? 6. 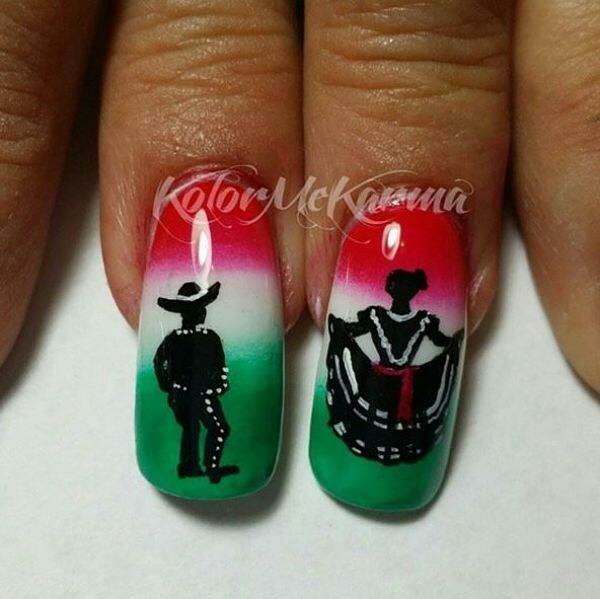 Cinco De Mayo Nails To Make You A "Black Magic Woman" Like The Santana Song! 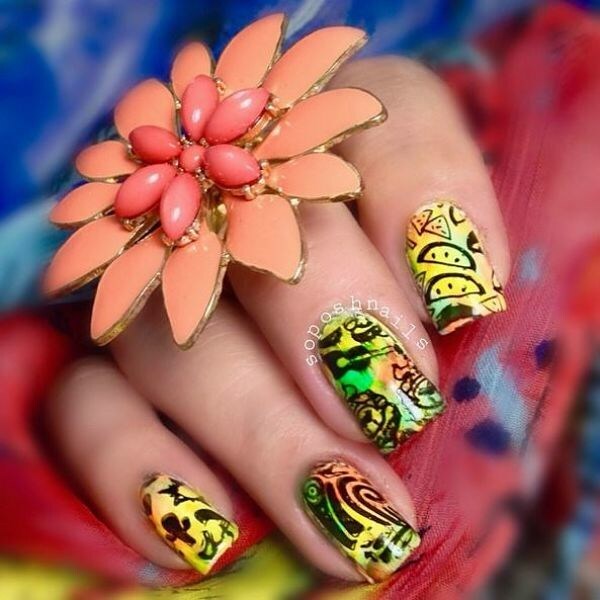 Put a spell on your crush with the magic touch these nails will give you. They will have you partying until the stars come out. 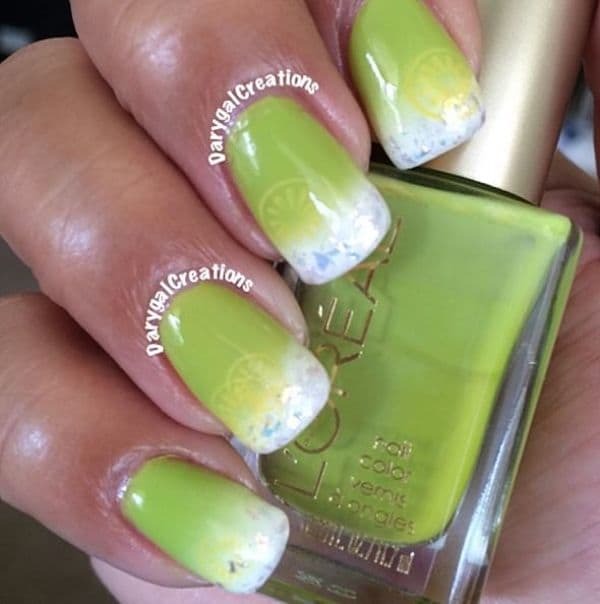 The bartender won't even have to ask what kind of drink you'll be having with these lime green margarita nails! 8. 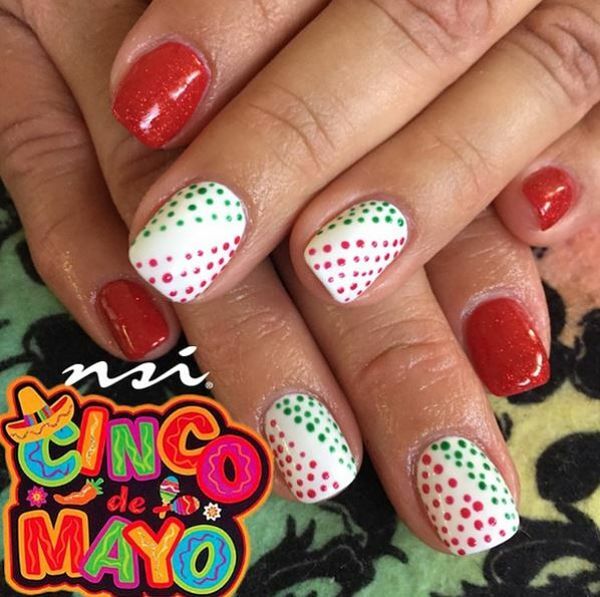 Show The World Cinco De Mayo Can Be Glam Too! 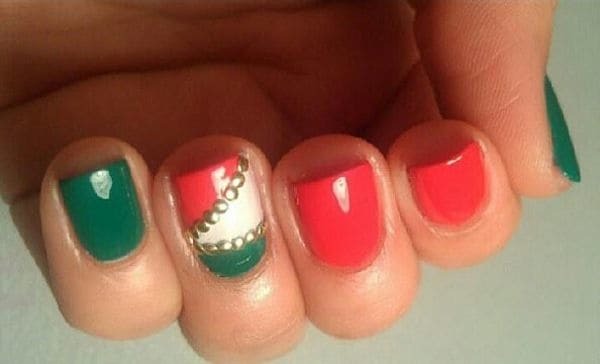 Let the traditional colors of the Mexican flag shine! They're highlighted with sparkles and gold to make Cinco de Mayo vogue. 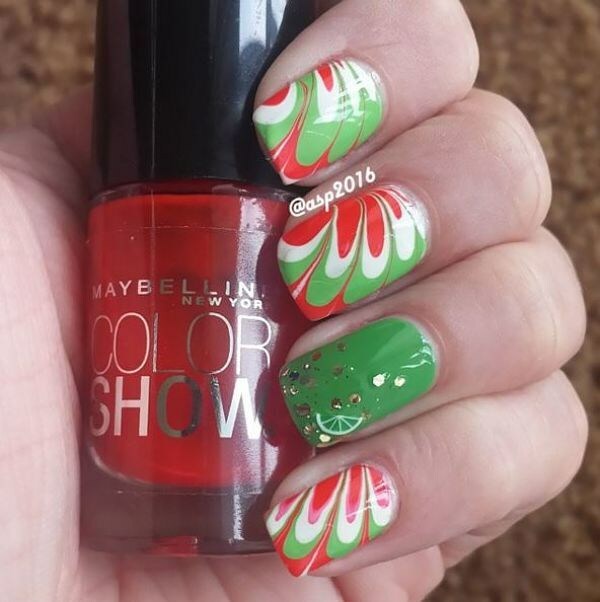 The next page features nails full of vibrant color to get you and yours into the spirit of this holiday! Don't let the food on Cinco de Mayo be the only thing that's hot while you're spending the holiday with your BFFs. 10. Who said Cinco de Mayo Can't Be Glam? If you're hitting the town with your squad, who wouldn't want to be red carpet-ready when it's party time? Let the world that you know EXACTLY how to make Cinco de Mayo look more chic than anyone expected. 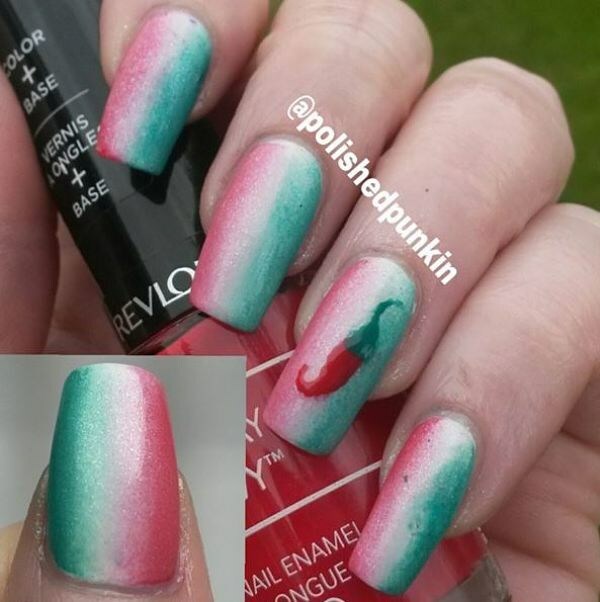 This design makes the traditional colors of the Mexican flag glow thanks to these lush gradient colors that glow with spirit. This zesty pattern will make you feel like you're on vacation no matter what time of year it is! If you put them on during Cinco de Mayo, you'll be the Margarita Queen of the night!